At the recently held Black Hat Security conference by academics in Spain and the U.S., a new technique of recreating iris images using the digital codes that are stored in databases and used by iris-recognition systems to identify people was shown. Interestingly, the replica images were so amazing that they could even trick the commercially graded iris-recognition systems. “The idea is to generate the iris image, and once you have the image you can actually print it and show it to the recognition system, and it will say ‘okay, this is the [right] guy,’” says Javier Galbally, who conducted the research with colleagues at the Biometric Recognition Group-ATVS, at the Universidad Autonoma de Madrid, and researchers at West Virginia University. Earlier, researchers could create wholly synthetic iris images with the characteristics of real iris images. Though the images fooled iris-recognition systems into thinking they were real irises, but the problem was they were not quite useful in impersonating a real person. 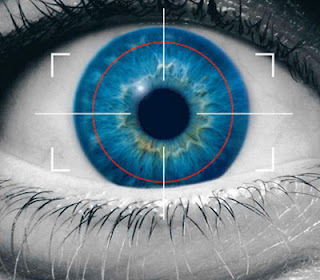 "But this is the first time anyone has essentially reverse-engineered iris codes to create iris images that closely match the eye images of real subjects, creating the possibility of stealing someone’s identity through their iris," mentions a report by Threat Level. “At each iteration it uses the synthetic images of the previous iteration to produce a new set of synthetic iris images that have an iris code which is more similar (than the synthetic images of the previous iteration) to the iris code being reconstructed,” Galbally says.